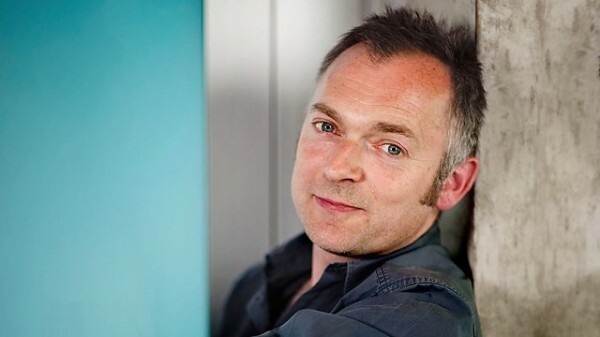 “Conductor Charles Hazlewood hosts two shows for 6Music reflecting his passion for musical interconnections. These genre-busting explorations of the musical spectrum feature live studio collaborations with special guests Will Gregory from Goldfrapp, guitarist and sonic adventurer Adrian Utley from Portishead and King of electronic dance music, Squarepusher. They will be aided and abetted by Hazlewood’s orchestra and Gregory’s Moog ensemble, creating altered worlds for JS Bach and Purcell. In this second programme Charles welcomes bass virtuoso Tom Jenkinson (aka Squarepusher) into the studio, for a grandslam exploration of bass. Bass on the back of the beat, bass on the front, bass as melody; and how a ground bassline of Purcell (one endlessly repeating pattern) morphs into Massive Attack. Serendipitous excursions into Led Zeppelin, John Barry, The Ink Spots and Solomon Burke are also on the menu. Charles and Tom also showcase material from their latest project, Squarepusher’s Orchestral Ufabulum.